Description: This new Ruger GP-100 is a 6-shot revolver which fires the .357 magnum round. It has a 6" barrel with an overall blued finish. 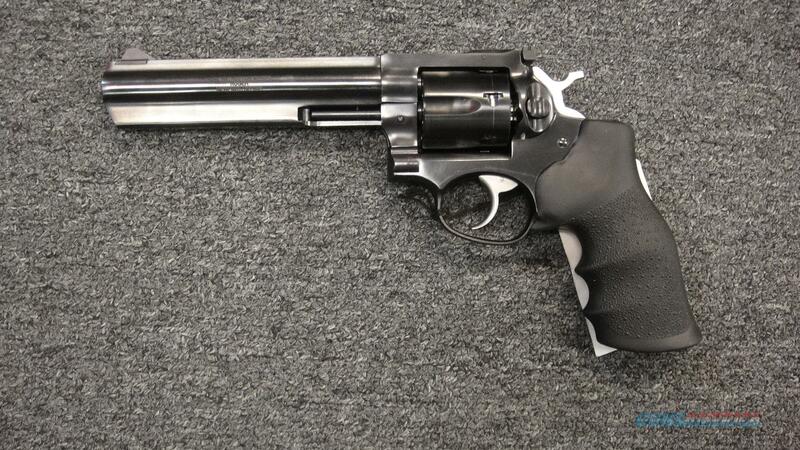 This revolver has an adjustable rear sight and a rubber Hogue Monogrip. It comes with a manual, lock, and a hard case.